An 18-year-old studen­t was killed and anothe­r person was injure­d by parami­litary soldie­rs at a demons­tratio­n. SRINAGAR: Indian Kashmir’s chief minister on Tuesday condemned the shooting dead of a protester by soldiers as “inexcusable” as he moved to prevent a return of deadly civil unrest to the disputed region. An 18-year-old student was killed and another person was injured by paramilitary soldiers at a demonstration on Monday against power cuts that have caused fierce resentment during freezing winter weather. 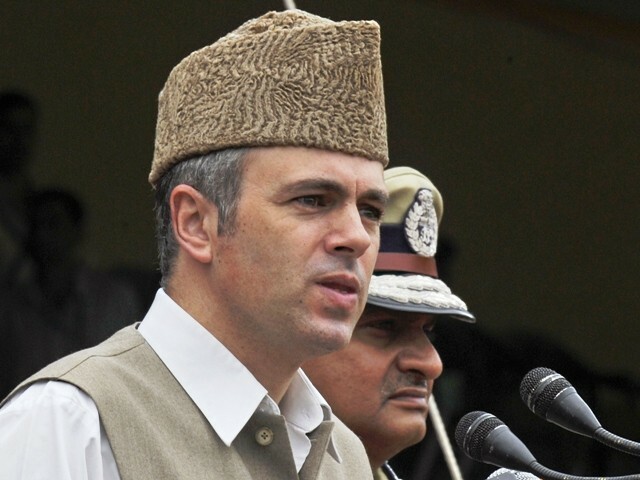 “The circumstances will have to be treated as not as an act of self-defence but the case of excessive use of force,” Omar Abdullah told the NDTV news channel during a visit to the village of Boniyar to meet the student’s family. “The location of the injuries, the number of rounds that were fired, all of it point to an inexcusable, excessive use of force that was unwarranted,” he added. Police said they opened fire after protesters hurled stones at them and tried to storm the main offices of the National Hydroelectric Power Corporation. The shooting of protesters by security forces has in the past started a spiral of violence in Indian Kashmir, a Muslim-majority region where many residents want to break away from rule by New Delhi. More than 110 people were killed, most of them shot by security forces, during months of violent separatist demonstrations in 2010. Small rallies against the shootings were held in Boniyar on Tuesday. Protests over electricity – a highly political issue in Kashmir – have erupted in recent days following blackouts because of power-generation problems. Temperatures of minus 14 degrees Celsius have led lakes to freeze and rivers to run lower than usual, causing difficulties for the hydroelectric projects that provide 70 percent of local power. Security forces in Indian Kashmir are routinely accused by human rights groups of using excessive force and torture. Demonstration by hundreds of residents was against mid-winter power cuts. Bashir Ahmed was killed the main city of Srinagar. Omar Abdullah is another karzai and just know how to give lip service to his people who are undergoing constant ethnic cleansing under indian occupation. This is not enough Mr. Umar Abdullah. Be genuine to improve HRs , in JK. This is very normal, this happens in every part of the world. Firing is necessory in order to control law and order situation. Whether it is relevant or not in any context a Pakistani news paper has to have that line in what ever it says. How relevant is the above line in a protest for power cuts??? It’s 2012 now and it’s not even related to the above incident. Is this an attempt to pump-up the hype? So the security forces are intentionally freezing rivers in order to torture civilians? No Mr Yuri..The lake freeze and there is a shortage..That was explanation of why there is shortage of electricity. We are over-used to these hollow promises. All these uniformed terrorists are shielded by daraconian law AFSPA, which provides them impunity. What justice was delivered into killings of 120 boys last yr.
Omar Abdullah is not the chief of Jammu and kashmir. He is the Chief Minister. Express Tribune please correct. Even in Arctic and Antarctic oceans, only the surface freezes. It does not affect the fluidity of subsurface water. That is why all marine life continues to function in all waters even under extreme cold conditions. Barring seasonal changes in the volume of water, there can hardly have been any major changes in electric supply.